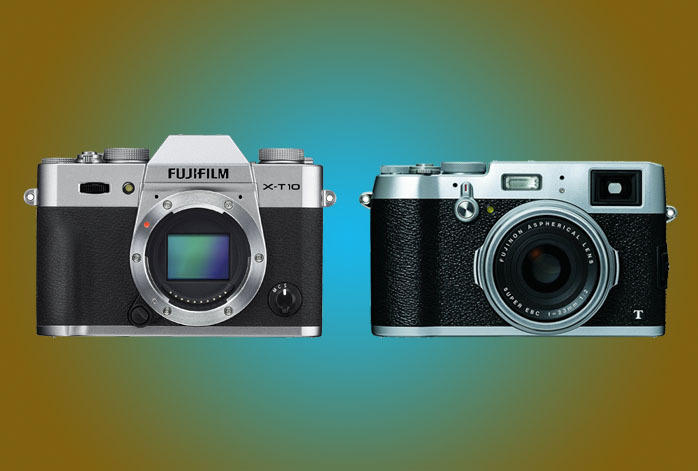 Need some advice in choosing between Fujifilm XT10 and Fujifilm X100T? Find one here! These two models have caused some people to get confused indeed. Fujifilm X100T is very significantly more expensive than Fujifilm XT10. Seriously, the price gap is roughly around two hundred bucks! Yet, with such price gap, Fujifilm X100T doesn’t seem to be a lot better than Fujifilm XT10. Well, have we missed anything? Is Fujifilm X100T actually much better than Fujifilm XT10? Let’s see! With a significantly higher price, Fujifilm X100T still relies on the same 16.3MP APS-C X-Trans CMOS II sensor. So, it produces images in pretty much the same resolutions as Fujifilm XT10. At least, it can create Full HD videos at a maximum frame rate of 60fps, which is pleasantly very smooth. It also features a sophisticated autofocus feature. However, its autofocus does not work as fast as Fujifilm XT10, though still usable. The strength of Fujifilm X100T lies in its extensive features. It has a clever dual-mode viewfinder that is very powerful for engaging pictures. It also comes with in-camera RAW conversion and DR modes, making it very easy to optimize image quality directly. It has a considerably higher maximum flash sync and a bigger buffer size than Fujifilm XT10, but it has a lower continuous shooting speed with only a 6fps burst. Fujifilm X100T can have a better performance than Fujifilm XT10 because of the bigger buffer capacity. Its rich features can also allow you to perform a lot more things on your camera. Unfortunately, the huge price jump does not come along with significant improvement in output quality. It also compromises in continuous shooting mode. Therefore, for the fullest value for your money, choose Fujifilm XT10!